With the hotly contested over, all eyes are on the incoming 116th Congress. What do the US midterm election results imply for US policies that matter for Taiwan and for cross-Strait issues? Historically, Taiwan has enjoyed broad support across party lines in Congress. During a time of deep division between Congressional Republicans and Democrats over health care, immigration and climate change, legislators passed bipartisan legislation supportive of Taiwan. For instance, the current 115th Congress passed the Taiwan Travel Act, which encourages senior US officials to visit Taiwan and the 2019 Defense Authorization, which calls for forging greater defense ties with Taiwan. The House also introduced that Taiwan Defense Assessment Commission Act of 2018, which directs the US Department of Defense to establish a commission to assess Taiwan’s defence establishment and recommend improvements to the island’s self-defense capability. The 116th Congress will be no exception. US arms sales to Taiwan will continue after the US midterm elections under the 1979 Taiwan Relations Act. Arms sales require the approval of both houses of Congress, with the House of Representatives having the “power of the purse” to tax and spend. Every Congress has honored the Act. The Trump administration in 2017 and 2018 approved two separate arms packages: US$1.4 billion in June 2017, and US$330 million in September 2018. At the APEC meeting earlier this month, US Vice President Mike Pence assured Taiwan’s representative that Washington will continue to uphold the TRA. With the growing discontent with China in Congress, there is talk of selling Taiwan jet fighters for the first time since 1992. China may be giving Congress more ammunition to call for increased arms sales to Taiwan. In recent months, China has attempted to intimidate Taiwan by encircling the island with military and surveillance air patrols, carrying out military exercises around Taiwan and live combat drills in the East China Sea, simulating an invitation of Taiwan, and sailing China’s Liaoning aircraft carrier through the Taiwan Strait. These intimidations were accompanied by attempts to erase Taiwan internationally by poaching Taiwan’s diplomatic allies, forcing foreign firms to associate the name of Taiwan with China, and putting pressure on multinational organizations to keep Taiwan out of their meetings. In response, Washington has ordered periodic Freedom of Navigation Operations (FONOPs) in the international waters in and around the Taiwan Strait. The US-China trade war presents Taiwan with risks but also opportunities. Taiwan’s economy is highly integrated with China’s and unless Washington grants them exemptions, imports of Taiwan goods made in China will incur higher tariffs. As a result, some Taiwan companies relocate back to the island, possibly lifting employment and wages there. There is some evidence that this is already happening. Industrial output in Taiwan jumped 8.25 percent in October, more than double the estimate, partly due to technology companies shifting production back to the island. The Taiwan government is considering incentives, such as relaxing land-use regulations and offering tax breaks for investments in plant construction and for research and development. Taiwan business in China will likely face a tough decision: stay in China with the possibility of incurring higher tariffs on their goods made there and suffer heat because of President Tsai Ing-wen’s refusal to accept the 1992 consensus, or move to Taiwan. Moving to Taiwan can avoid tariffs and political heat but may incur market and labor problems. The Democrats’ victory in the House means that President Trump will need to triangulate between the House Democrats and the Republican Senate on trade. For instance, House Democrats and Republican free-traders will pressure Trump to drop the tariffs against China while Republican populists in the US Congress will fight to maintain the trade war. Although the Trump administration does not need Congressional approval for his trade policies, the prospect of the 2020 presidential elections may cause him to change course. Trump cannot afford to lose his base in US farm country, who are beginning to hurt from China’ retaliatory tariffs on US agricultural imports into China. If Trump is successful in getting China to change, he can crow about it. If there is real damage in 2019, Trump will change policy to be in a better position for 2020. Taiwan businesses will have to bear some uncertainty until late 2019. The drubbing that the DPP took in the 9-in-1 introduces a high degree of uncertainty into cross-Strait relations and the US-Taiwan security calculus. US policy toward Taiwan has always been cognizant of China, requiring Washington to triangulate between China and Taiwan. Following the DPP’s electoral defeat, it will be more difficult for Washington to weigh policies toward Taiwan knowing that the administration in power will likely be gone in less than two years and that it looks wounded in China’s eyes. 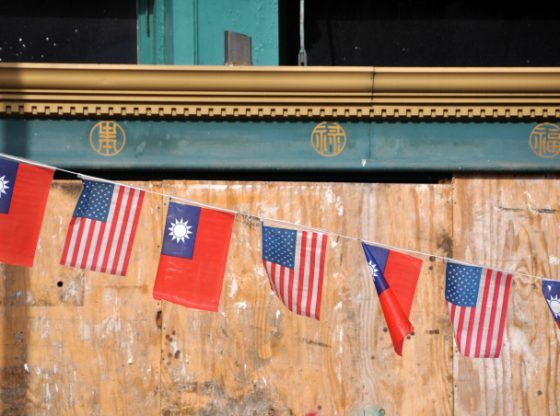 Although Tsai rejected the resignation of Premier William Lee and the entire cabinet after the elections, there is likely to be turnover in the Tsai administration, adding further uncertainty at a critical juncture in US-China-Taiwan relations. Expect the new House Foreign Affairs Committee Chairman Rep. Eliot Engel to hold more hearings on China, to rebalance Congressional oversight on foreign affairs away from the emphasis on the Middle East and Iran, and more toward China. At the forefront of these hearings will be US concerns about Taiwan’s security, the Uighur crisis, Tibet and China’s use of “sharp power.” Sharp power is the deceptive use of information for hostile purposes and often involves the use of social media to shape public opinion. There is speculation that China may have used disinformation and fake news in advance of Taiwan’s local elections to misrepresent public opinion polls or to lead public opinion against the DPP. Many in Taiwan believe that mainland Chinese internet trolls conveyed false images of the DPP in favor of the blue camp or the KMT, thereby dissuading people from supporting DPP candidates. If this is true, China is using Taiwan’s right to free speech as a political weapon, compromising Taiwan’s political security. On the eve of Taiwan’s 9-in-1 elections, AIT chairman James Moriarty warned of the dangers of unnamed external powers trying to “alter the debate and spread fake information.” Such behavior, if substantiated, constitutes a security threat to Taiwan.